I am thrilled to be included in this anthology of Southern California Poets put out by Don Kingfisher Campbell. All the poems had to be under 300 characters, not words, characters, including the title! Fortunately it was a perfect home for my short poem, “How Quiet Kills”. 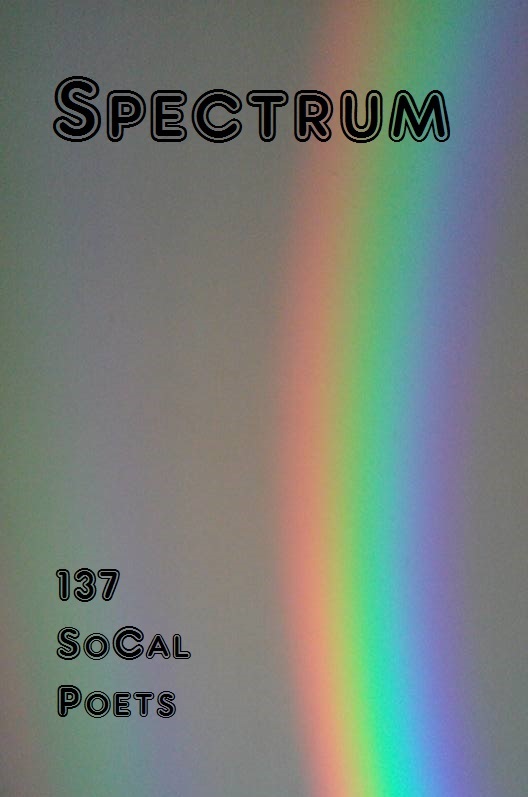 There will be a reading of the anthology poems on September 28th, from 7 to 9 pm, the Donald Wright Auditorium inside the Pasadena Central Library on 285 E. Walnut St. You can find out more about the event and the other 136 poets at the website: spectrumpublishing.blogspot.com. You can also RSVP on Facebook. Previous Post Expressions L.A. on September 5th, 2015!